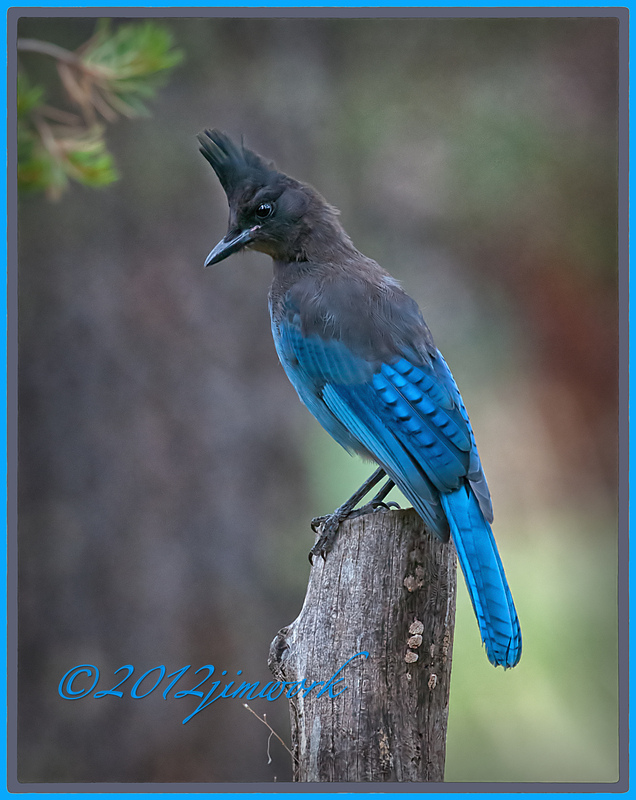 We have a whole host of these Steller Bluejays that rule the roost here in the Lazy Days campground outside of Mayhill, NM. They are quick to announce your presence and keep watchful eyes on all the goings about. A handsome reflection of Abba.